What is a belly dance hafla? 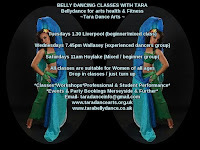 A belly dancing hafla is an informal fun party with opportunity for belly dancers teachers and belly dance students to get together to perform socialise and party. The hafla will have performance slots for solo performers and groups of all levels to dance and sometimes there are live drummers. There is a clothing and accessories stall set up so everyone has a chance to buy CDS DVDS books costumes and jewelry. Raffle tickets for are for sale and sometimes food and drink. Hafla organisers charge each person a small fee to attend the event and most of the time they donate the money left over from set up cost to a charity of their choice. Most belly dance communities have people who specialise in organising haflas to offer dance students, Performers and teachers a performance platform. A place where everyone can have experience performing in front of others, A chance to practice or test run a dance routine, A place to play with creative ideas and an opportunity to socialise meet and dance alongside other local dancers. 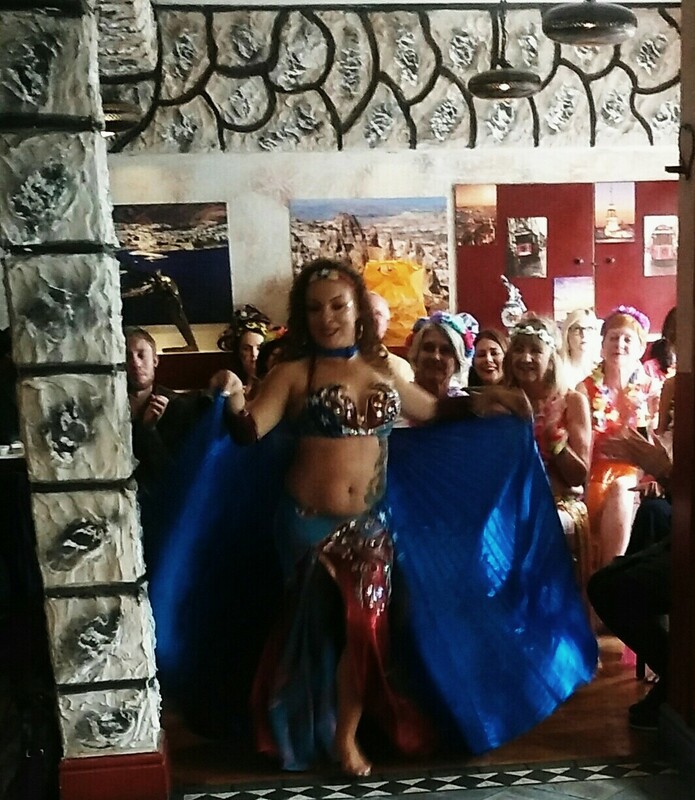 A hafla is a good place to start performing as it is a private dance event just for dancers. The environment is a safe space and the atmosphere is positive. Most of the people who attend are friendly, Supportive, Encouraging and those in the know may offer Performance advice. Most of the time there is no restrictions on the style of dance performed at the hafla which makes for an interesting show with diversity. Unlike formal shows or class recitals a Hafla is not off putting,Intimidating or strict. There is room for everyone and everything. For belly dance students who are new to an area and looking for Performance opportunities or a place to meet other dancers my best advice would be to search for haflas workshops and classes in your area. Be part of the belly dance community.